Voice over Wi-Fi (VoWi-Fi) enables you to make and receive voice, video calls and messaging using Wi-Fi service. Experience seamless continuation of calls as you move between the cellular network and Wi-Fi network. Besides faster call connection and blazing fast data speeds, when you choose an LG 4G LTE device, you enjoy all these amazing VoWi-Fi benefits. With VoWi-Fi, your international calls will be much cheaper against the existing mobile calling services. 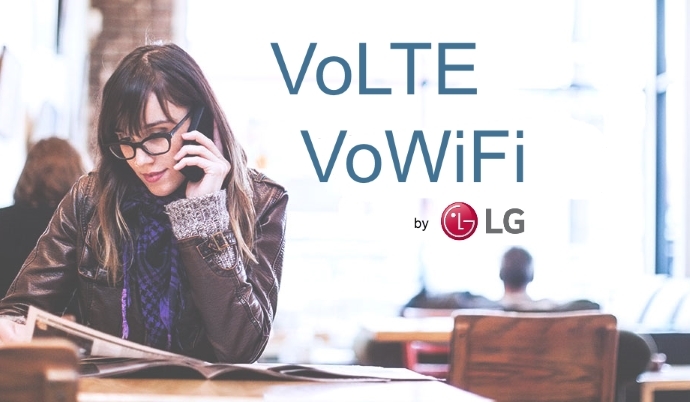 Any time, anywhere call continuity with VoLTE and VoWi-Fi combination. Unlike the current scenario, with VoWi-Fi, you get continuous and high quality voice and video calling.